Love seasonal flowers? Come and join us for Sogetsu style flower arrangement class. The classes are offered in Maryland and Washington DC. Certifications in Sogetsu-style Ikebana are also available for those who are interested. All fees raised from these classes are donated to Let Me Shine Guatemala. Please contact for details. Ms. Ogata is a certified Sogetsu-style instructor with 35 years of teaching experience and more than 50 years of training in Japan. 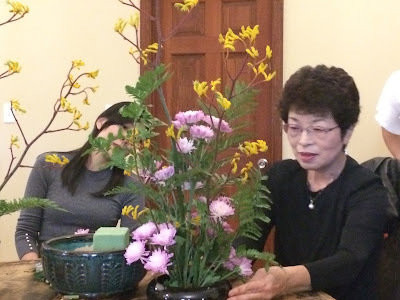 She served as Regional Director of Sogetsu Ikebana League from 2010 to 2014.